Most businesses routinely seek ways to minimize their taxes through effective planning. One area which does not receive significant attention is the payment of real estate taxes on your business property. This is particularly true if your business leases the facility at which it operates since tax decisions are usually left to the landlord. However, when you are renting your facility your Lease commonly provides that real estate taxes are an expense passed through to the tenant by the landlord. Thus, even though the landlord receives the bill, you the tenant, pay the tax. In each of these situations it would be advisable to closely examine your tax bill to determine whether it would be appropriate to take further steps to appeal your current tax assessment. To make the initial threshold determination of whether or not to file an appeal we invite you to follow the next several steps to make the determination of whether you may be overpaying your real estate taxes. If it is determined that an appeal might reduce your taxes, we will, at the end of this article, suggest how and when to do so. Get your tax bills in front of you. These should be the bills for your County and Township tax and the bill for your School tax. Find the assessed value for your property which is listed on your tax bill. For this example I will use an assessed value of $10,000.00. Multiply the assessed value as shown on your tax bills by the common level ratio factor for your county. For this example I will use 21.74 as a common level ratio factor which is the current figure for Bucks County. This product is the “presumed value” of the property for tax purposes as determined by your County. Compare the “presumed value” from Step 3 (for our example the presumed value would be $217,400) to the approximate fair market value of the property in 2000. For our example I will assume that the fair market value in 2000 is $150,000. If the “presumed value” is less than the fair market value, stop here. A tax appeal would not achieve a tax savings for you. Your taxes should equal the assessment, computed per thousand (10 in our example) multiplied by the total millage for the County, Township or Borough and School District. In our example I will adopt total millage of 300 mills. The assessment per thousand multiplied by the millage yields the total taxes payable for this property, which for our example would be $3,000. Divide your approximate fair market value for 2000 ($150,000.00 in the example) by the common level ratio factor of 21.74. This yields the assessment which should be in effect for your property if the County were using the actual fair market value. In our example the assessment should be $6,900.00. Once you have worked through these steps you can determine whether or not it would be useful to consider filing a tax appeal for your property. If you reach that threshold then you should consult an attorney and file the Appeal on or before the filing deadline, which in Bucks County is August 1, 2000. Although it is not mandatory to have a real estate appraisal for the initial hearing it is certainly advisable to obtain one. Because of the length of time necessary to have the property appraised, particularly for a commercial property, it would be best to have this process started immediately. In order to file an Appeal for a commercial property you need notbe the owner of record. 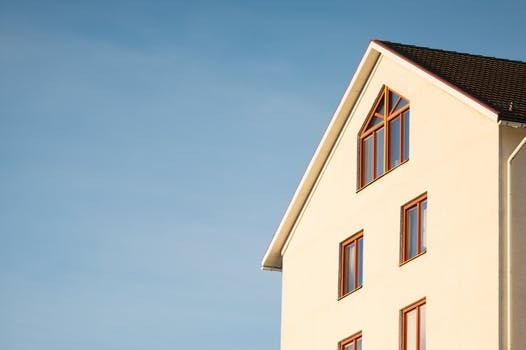 As long as you have an interest such as a leasehold interest and adequate documentation of that interest is presented, you have the right to file an appeal on behalf of an owner. In addition, you will be required to document the income and expenses associated with the commercial property for the past three years as part of your appeal. When choosing an appraiser be sure to select an appraiser who has sufficient credentials as a licensed appraiser. For residential properties a satisfactory designation would be the SRA designation and for commercial properties an MAI designation is appropriate. You can file the Appeal immediately, however, the appraisal and the appraiser’s qualifications must be submitted (in Bucks County) no later than ten days prior to the actual hearing. The hearings are held in September and October of each year and in the event your assessment is reduced your taxes will not be affected until the following year. Once your Appeal is filed you will receive notice of the hearing and generally these dates and times cannot be modified except under extreme circumstances. The hearings themselves are informal and take anywhere from ten to thirty minutes. At the hearing you will be required to present all evidence necessary to prove your case. Any owner may present an opinion of value, however, no other testimony concerning value will be received unless a complete appraisal upon which such testimony is based has been presented to the Board. There are several other bases upon which a tax appeal can be filed, however, this article discusses the most prevalent type of appeal and is designed to provide a quick method of determining whether a real estate tax appeal would be worth exploring.